Southwest I-Corps | I-Corps’ Effect…as an Infographic! 21 Apr I-Corps’ Effect…as an Infographic! How is I-Corps affecting entrepreneurs and scientists across America? NSF has put together a great info graphic that answers this question. Below are some highlights from the full report. 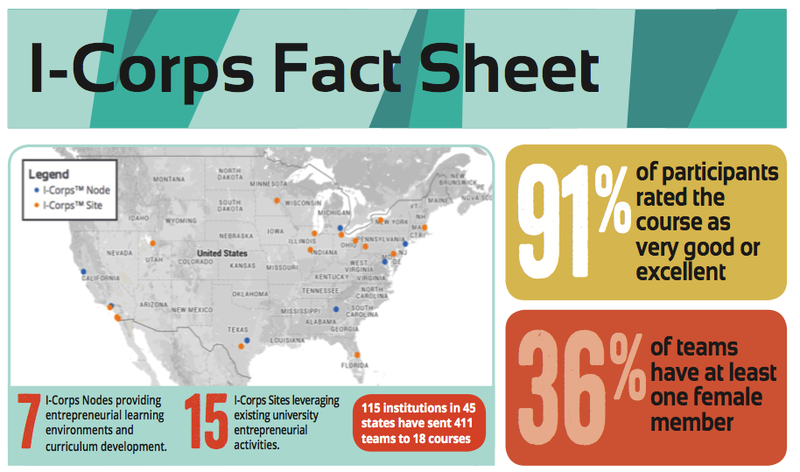 Download the I-Corps Fact Sheet to see the whole thing!